Our Junior 3k, open to 9-15-year-olds, is a chip-timed route using the same start and finish as the popular Town and Gown 10k. Schools, running clubs and families enter teams into this competitive and fun event. We’d love to see you there! This route takes you along the last 3k of the 10k route, through the beautiful University Parks. It’s a perfect run for those just getting into running or any young person looking to set a personal best! If you’re wanting to run your first, your fastest or your most orange 3k yet – this is the race for you. Registrations for the 2019 event is now open! The Event Village is in the University Parks, OX1 3RF, near the cricket pavilion. It’s where you can have your registration queries answered, drop your bags off, use the toilets/changing facilities, or buy food and drink. The Event Village is also where the race warm-ups and presentations take place. The races end next to the Event Village, so there is lots of buzz and excitement here during the morning. Your friends and family will meet you back here after your race. Don’t forget to get your photo taken at one of our selfie boards before you go! The Junior 3k is open to anyone aged 9–15. It’s a race that attracts local runners, including university students, club runners and fun runners. If you are a wheelchair user or have any accessibility requirements and would like to take part, contact us on townandgown10k@musculardystrophyuk.org and we’ll make the necessary arrangements. 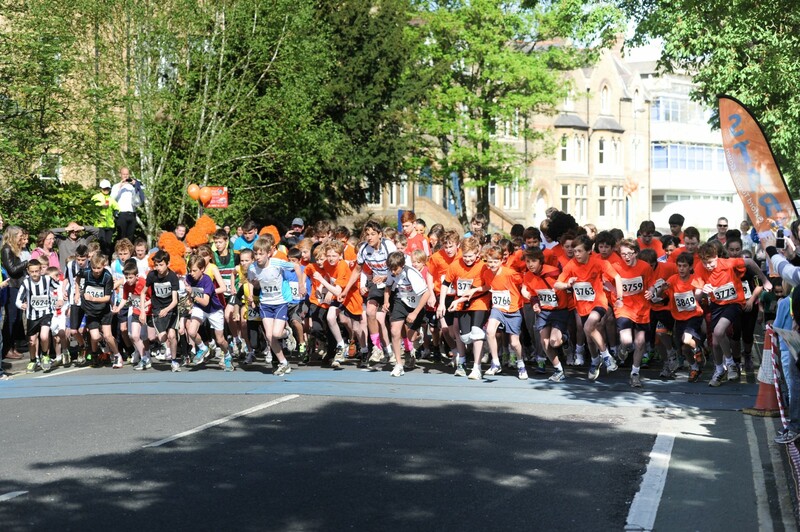 The Town and Gown 10k raises vital funds for Muscular Dystrophy UK. 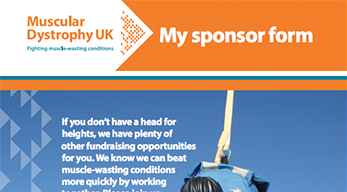 So while fundraising is not compulsory, we encourage all runners to fundraise what they can to help beat muscle-wasting conditions sooner. 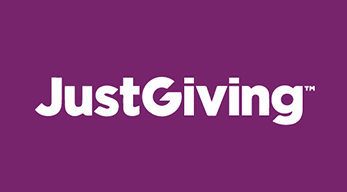 Visit our fundraising page for hints and tips, and to set up an online giving page. We’ll send your running bib to the postal address you give us when you enter. If you register before Tuesday 24 April 2018, you’ll get your bib one week before the event. If you sign up after this date, you’ll have to collect your race number on the day of the event. We’ll keep you informed ahead of the event. If you give us your mobile number on entry, you’ll get an SMS with your chip-time shortly after you finish the race. All chip-timed results will be available on www.chiptiming.co.uk after the event. You can transfer your place to someone else, and there’s an admin fee of £5 per transfer. The deadline to transfer your place to someone else is Tuesday 14 April 2018. It won’t be possible to transfer your place after this date. Should you qualify for an Open and an age group trophy, the Open will be awarded to you. The age group prize will be offered to the next finisher. You’ll find a number of food and drink stalls in the Event Village on the day. All of these donate a percentage of their sales to Muscular Dystrophy UK, so if you support them you’ll be helping support the charity. Keep an eye on the website in the coming months to see who’ll be there on the day. If you wish to support the day as a caterer, contact us. Once you’ve finished the race, we’ll give you water and a goody bag with a medal and some free product samples. Entry fees no longer include an event T-shirt but these are available to purchase on entry as well as being on sale on event day. Availability of parking in the centre of Oxford is extremely limited, and there are no parking facilities in the vicinity of the race. All the roads in the immediate area are closed, with parking restrictions enforced. Please visit the Oxford Bus Company and Stagecoach websites for up to date travel and bus routes to Oxford City Centre on race day. The start and event village is a maximum 10 minutes walk from the City Centre so any bus reaching near into the City Centre will be a walkable distance. The start and event village is a maximum 20 minute walk from Oxford Railway Station. Please factor this walk when planning to get to Oxford by Train. For up to date train information visit the national rail website. Please visit the Oxford City Council website for a list of car parks within the City Centre. The Town and Gown 10k is always interested in forming partnerships with businesses. There are several great opportunities to work together, and reach a wide audience. For more information about our sponsorship packages fill out the short form on our sponsors page. Are there training plans/guides for runners? Yes, we have beginner and intermediate training plans to get you ready for the day on Muscular Dystrophy UK's training zone. Visit the training zone now. ''Summer Fields have entered a team in the Oxford Town and Gown for the past four years. Around 70 boys participated in the Junior 3K race last year, with 30 members of staff and parents taking part in the 10K. The race is brilliantly organised and highly enjoyable, with a route that winds past the city's historical buildings, finishing in the vibrant atmosphere of the beautiful University Parks. It is a great event for all ages and abilities, and all for such a worthy cause.'' Ian Barrett, Summer Fields School. The event route is the same as in 2018. Before making the final left turn to the finish, runners will be directed off the path onto the grass to avoid collision with people using the Keble Gate entrance on University Parks. The turn will be signed, marshaled and will have barriers to make this clear and easy for runners. The start will be on South Parks Road, which is a five-minute walk from the Event Village. There will be signage from the Event Village as well as announcements on the PA. The finish is in University Parks, going into the Event Village where runners will be cheered by crowds and the event compere. Once runners finish they will be funneled into the goody bag area and held there until a parent or guardian is arrives. Runners will be sent repatriation bands to wear on the day along with their race bib. 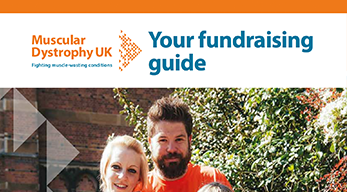 Download our fundraising guide. You’ll find tips to take your fundraising to the next level! Photos from Oxford Town and Gown 2018 are available to view and purchase from our partners Sussex Sport Photography, who donate a percentage of every photo sold to Muscular Dystrophy UK. You can type your runner number and see all the photos taken of you on their website. We hope you find one you like! See below a few photos from Oxford Town and Gown Junior 3k 2017. You can still view and purchase 2017 photos by following the link below. Click below to see results from the Oxford Town and Gown Junior 3k 2018 and 2017.